BvLF’s new Urban95 investment in Lima has won first place out of 238 entrants from 14 countries in the fifth edition of the International Urban Development and Social Inclusion Contest run by Latin American development bank CAF’s “Cities with a Future” programme. Congratulations to our partners, CCC-Coordinadora de la Ciudad en Construcción (the City under Construction Coordinator) and Sumbi. 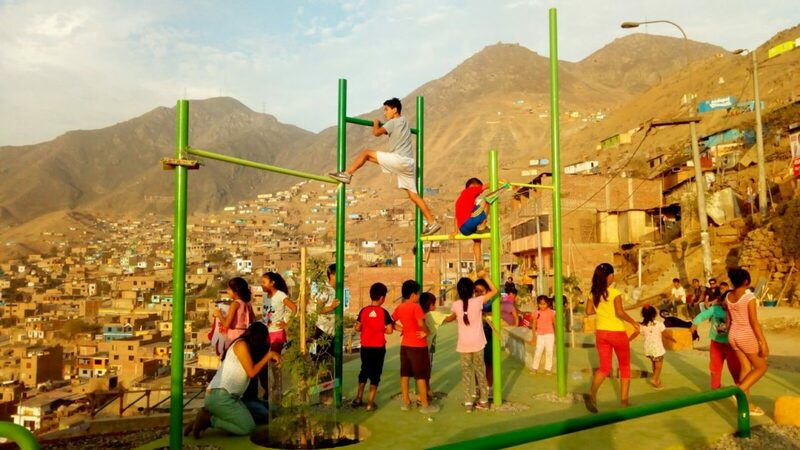 Our Urban95 work in Lima is in the process of bringing together local governments and technical partners to establish a community of learning on how to improve the city for families with young children, by improving access to services and creating safe, friendly and stimulating urban spaces. The CAF contest rewards Latin American cities for initiatives to improve inclusivity, connectedness and integration. In another indication of growing interest in the Urban95 concept in Lima, it has been included as an optional area for study at the Faculty of Architecture of the Pontifical Catholic University of Perú (PUCP). Further training programmes are under design at this stage with the PUCP, to help promote social and academic debate about our infant-inclusive approach in urban spaces.